Wetton is a beautiful village in the Staffordshire Peak District, set amidst the stunning scenery of the Manifold Valley. It has everything you could hope for from a White Peak village: pretty stone cottages on twisty lanes, a cosy country pub, an ancient church, and the most magnificent views. The remains of Anglo-Saxon settlements have been found in the area immediately around Wetton, although the earliest recorded reference to a village here is from the 12th Century. 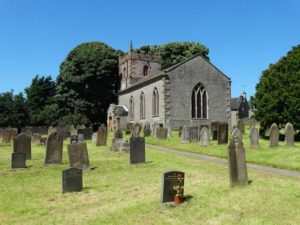 St Margaret’s church is the most obvious landmark in the village of Wetton. It originally dates from the 14th Century, although much of it was rebuilt in the 19th Century. It is notable for its belfry having an external staircase. Also well worth a visit is the Royal Oak pub, a cosy inn with a roaring fire in the colder months. It serves traditional ales and home-cooked food, and is also famous for its annual toe wrestling championships, a local tradition which has been going strong for over 40 years. Just outside the village is the magnificent Thor’s Cave, a natural cavern set in a steep limestone crag, with its huge arched entrance easily visible (and quite accessible) from the footpath below. Evidence has been found of human occupation of the cave during the Stone Age, with use well into the Iron Age and Roman period. Past excavations have found stone tools, pottery, amber beads and bronze items, as well as the burial sites of at least seven people. 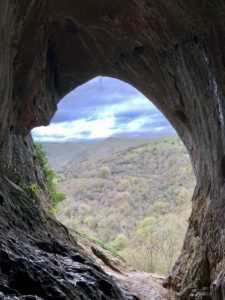 Thor’s Cave is popular with visitors and the views out into the valley are fabulous, but great care should be taken in exploring – there are very steep, unguarded drops from the entrances, and the surfaces can be slippery. Those interested in ancient history should also visit Long Low, situated a mile south east of Wetton. A Neolithic burial site, it consists of two large round cairns linked together, a structure that is the only one of its kind in England. Excavations in the 19th Century revealed a limestone burial chamber with a paved floor within, as well as the bones of at least thirteen people and a number of arrowheads. 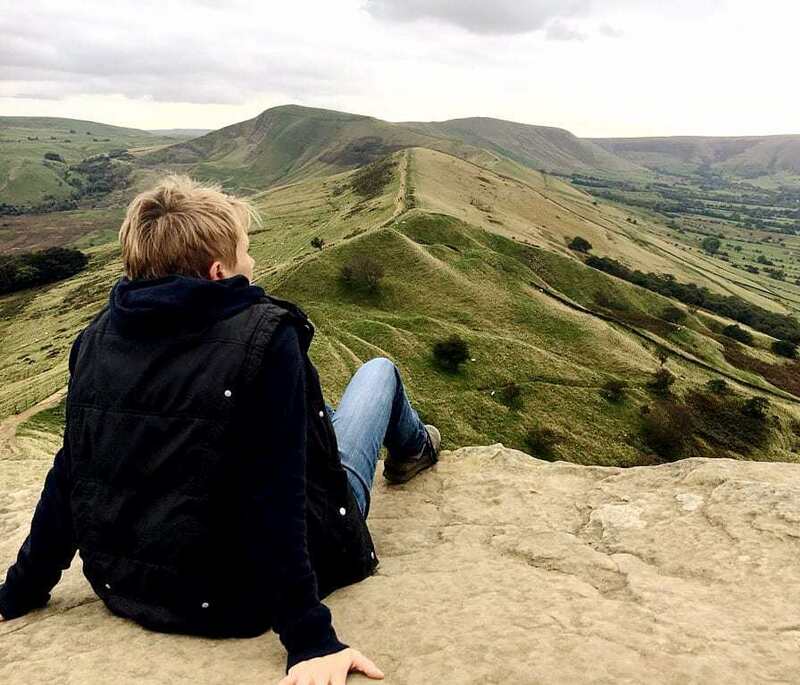 The area around Wetton is hugely impressive in its natural beauty and it is rightly popular with walkers and outdoor enthusiasts. 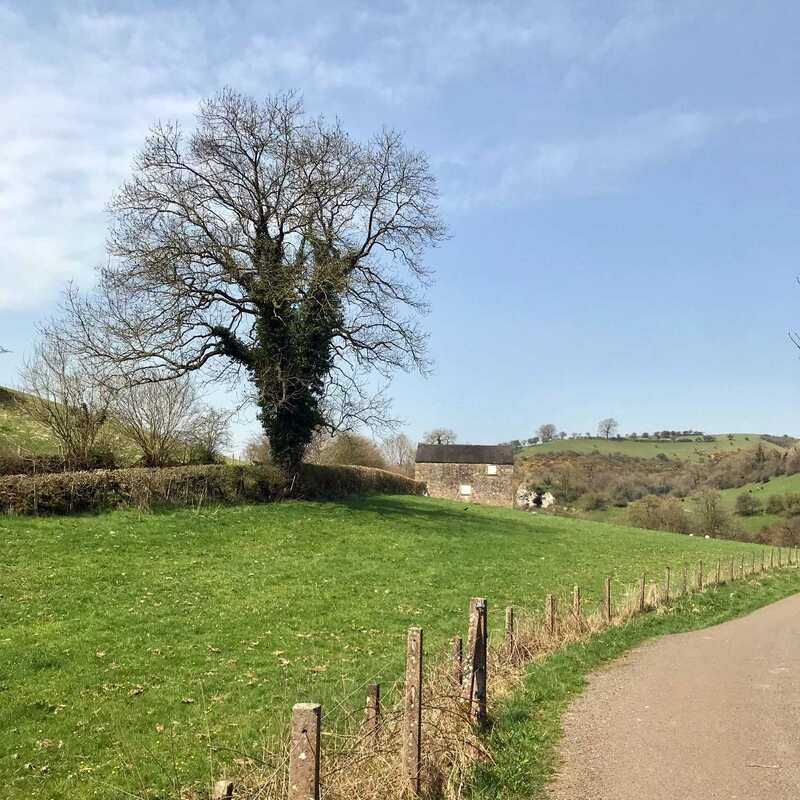 The beautiful Manifold Way, an 8 mile long walking and cycling path through spectacular countryside, runs close to the village. It follows the course of the River Manifold, from Hulme End in the north to Waterhouses in the south. Wetton Mill, a few miles outside the village on the Manifold Way, is also well worth visiting. Disused since 1857 and now owned by the National Trust, the mill was once a water mill for grinding corn. The area now has a popular tea room and a lovely riverside location, perfect a starting or ending point for walks.